Detail Your Eyecandy consists of a highly experienced team of passionate individuals that go above and beyond to offer the finest vehicle detailing and paint protection film solutions. "For the past decade DETAIL YOUR EYECANDY has built up A FIRST CLASS REPUTATION for preparing, restoring and protecting vehicles throughout the United Kingdom"
Detail Your Eyecandy was formed by self confessed petrolhead Elliot Stafford in 2010. He is the ultimate car enthusiast and has been from a very young age. Elliot has always taken a huge amount of pride and satisfaction in keeping his own vehicles looking their absolute best. Prior to starting Detail Your Eyecandy Elliot worked for Silverstone and for BMW UK at Brands Hatch as an ARDS qualified Motor Racing Instructor. This coincided with preparing classic cars and detailing vehicles for friends and family, primarily as a hobby. 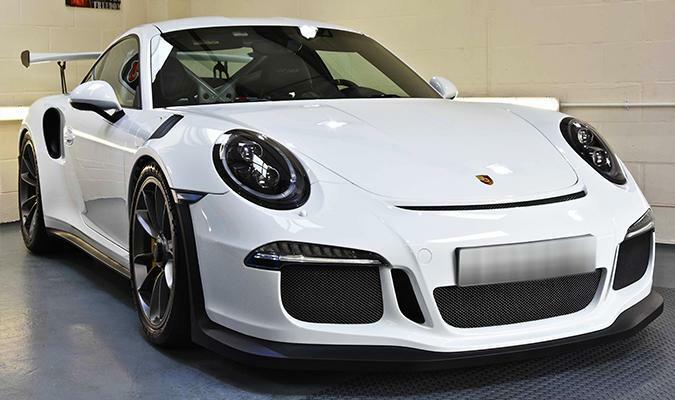 Elliot then made the decision to launch his own vehicle detailing business, as he wanted to offer a detailing service to fellow car enthusiasts that was professional, courteous and achieved the kind of results that had to be seen to be believed. Over the past decade Detail Your Eyecandy's reputation has massively grown. This growth is supported by the large portfolio of work, glowing reviews from hundreds of satisfied customers and in 2015 the creation of Shield Your Eyecandy, the paint protection film aspect of the business. 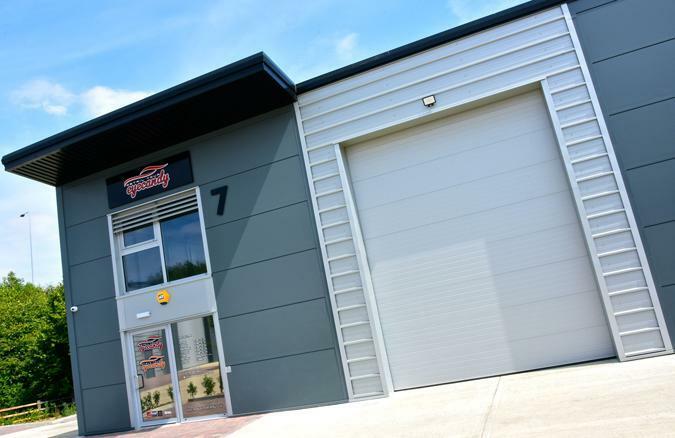 Detail Your Eyecandy and Shield Your Eyecandy's headquaters now operate out of a newly built 2500sq.ft studio on Hinchingbrooke Business Park, near Huntingdon. However we are still taking bookings at our Mildenhall premises and will continue to do so until our Suffolk branch relocates to Risby in later this year. Our new studio at Hinchingbrooke can be accessed easily from Junction 23 of the A14 and is within two miles of Huntingdon train station. Within the studio is a custom made installation bay where temperature, cleanliness and lighting are constantly monitored and controlled. This results in perfect working conditions for the application of ceramic coatings and the installation of paint protection film. Manufacturers' instructions require that certain standards are met during these processes so this guarantees the best results in terms of the quality of finish and durability. The installation bay also consists of a scissor lift with flush fit ramps, allowing for full access to every panel during the protection process. Next to the bay is a specific production room, featuring our state of the art 60 inch Graphtec plotters. These allow us to produce and cut the computer generated paint protection film templates using the latest software available on the market. Detail Your Eyecandy is fully insured with bespoke business insurance provided by Classic Insurance Services. Proof of this can be supplied at any point. This insurance covers us whilst carrying out all detailing work, and we are fully covered against all eventualities for when your vehicle is left at our detailing studio. This means that we are able to offer our customers complete peace of mind whilst their vehicle is in our care. We are also fully insured for road liability up to the value of £2,000,000. Therefore we also operate a collection and delivery service, so that your vehicle can be treated at our detailing studio without inconveniencing you in any way. We have extensive on site security at both of our premises. This includes but is not limited to, an ADT police monitored alarm system, monitored CCTV and regular security patrols at the business park throughout the night. Elliot and the team did an amazing job protecting my new car with Gtechniq crystal serum ultra. I would thoroughly recommend Detail Your Eyecandy. Far better than the dealership products.